As Chief Financial Officer at Exponential-e, I’ve been asked to provide a view on what the CMP can do for businesses from the perspective of managing finances. In other words, if you’re a CFO like me, why should you be using Exponential-e’s CMP to manage your IT estate? There are lots of Cloud management portals out there, but they tend to be designed to sell a particular Cloud environment (usually the one that the vendor is selling) by giving the customer visibility of it. What differentiates our portal from others is that it’s designed to simplify a multi-Cloud, multi-vendor IT estate, and to allow you to manage multiple Cloud environments through one portal, assisting you to maximise productivity and value for money. The ethos of a vendor agnostic portal - and its use as a Cloud management tool - is to help IT leaders make the best decisions right the way across their hybrid estate. This is at the heart of our innovation. The visibility afforded by robust reporting is absolutely key for any organisation, as we search for insights that can be used to accelerate growth of shareholder value. Long gone are the days where a board doesn’t get involved in vital IT infrastructure decisions. As Cloud environments have become ubiquitous, today everyone has a “view” on how to optimise them. From a finance point of view, the CMP gives a window into the productivity and utilisation of an organisation’s IT infrastructures. Say you’ve got a Cloud environment in which you’ve invested in a lot of spare capacity. With the CMP, you can instantly move workloads to increase utilisation levels, enabling you to sweat your investments. Having a single view of all Clouds can be incredibly useful when it comes to business planning. You can optimise cloud costs and juggle this against having enough spare capacity, to accommodate the peak business requirements. The ability to better plan your investment in Clouds makes for a more favourable and smoother cash flow. Instead of having to buy everything all at once, you can decide to procure Cloud environments as your business needs grow. Currently, many organisations are pumping money into the Cloud and hoping for the best; the visibility granted by the CMP allows you to plan and make decisions without being blindsided. A single-pane-of-glass view of your Cloud environments also gives you the opportunity to move workloads to increase efficiency. If you see, through comparing different Clouds on the CMP, that there’s cheaper storage available, our portal helps you migrate your workloads to take advantage of the cost saving available. A single view of all contracts means one invoice for all Cloud environments. Giving our customers ‘One Bill’ across their Cloud estate makes it easier to manage contracts and to analyse spend across each location. Ultimately, the benefits derived from our CMP are all connected to understanding consumption needs. Most businesses don’t really have an idea how much Cloud capacity they need and – given that nobody wants to buy too little Cloud - often over-spec as a result. They spend too much because they don’t understand consumption patterns; the CMP gives them the visibility they need to understand. This, in turn, enables more intelligent procurement of services. If the aim of almost every business is to maximise profit by reducing cost, what CFO – and what business - wouldn’t appreciate a platform that allows you to view, analyse, and reconsider Cloud expenditure? Henry joined Exponential-e as Chief Financial Officer in 2017 and is a board member, reporting to CEO Lee Wade. 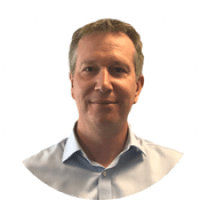 Henry brings with him 23 years' experience, having worked at a number of organisations including Vauxhall Motors, Electrolux and most recently as Finance Director at Kelway. Henry has extensive experience in managing complex financial operations for high growth businesses. With Exponential-e's ambitious growth plans over the coming years, his senior leadership experience will be invaluable at this pivotal time.